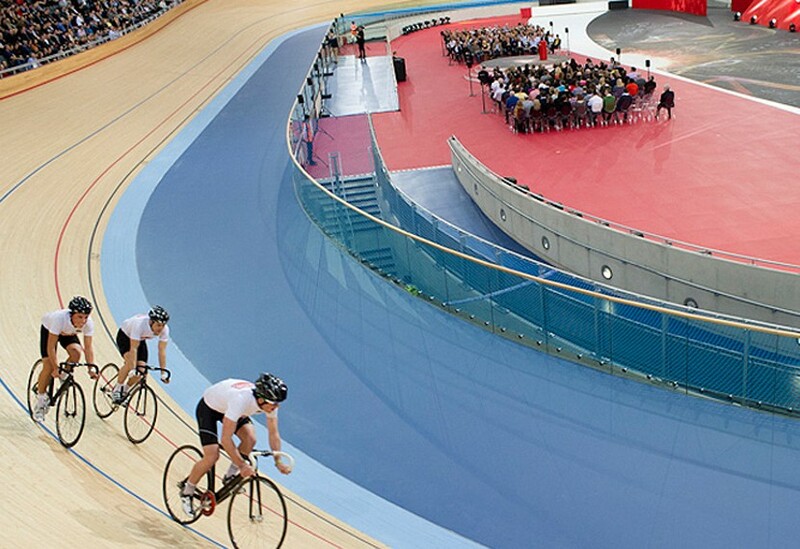 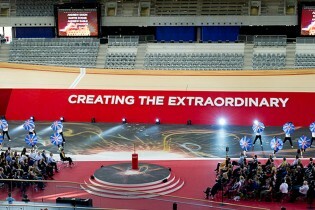 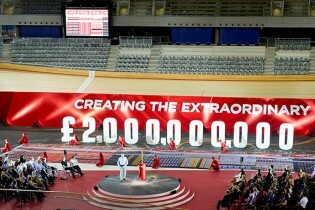 This event was the first to be held in the brand new London 2012 Velodrome. 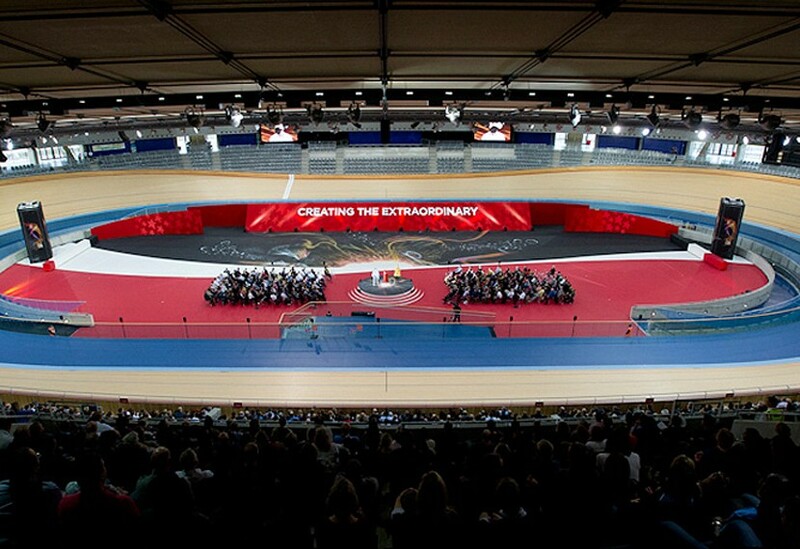 Extreme care was required with the whole venue, but especially in providing adequate protection for the floor. 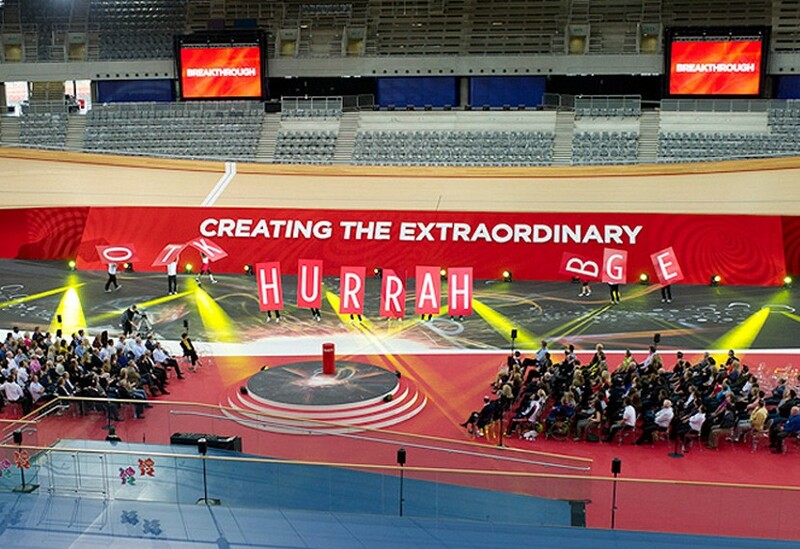 With this in mind, we had just 7 days to lay-out, number-up, paint, dry and ship the 53 tonnes of sheet material required to protect and cover the floor, along with providing further scenic elements including a long sloping wall, a circular stage and props.